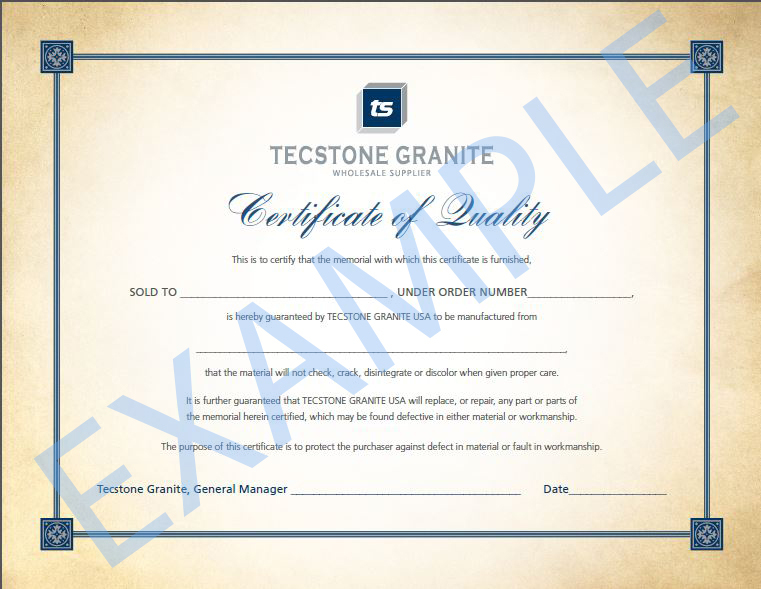 Tecstone guarantees ALL our products and production services in writing! Click here. Our unique Fast Track program expedites overseas orders in as few as 45 days! Need it super fast? 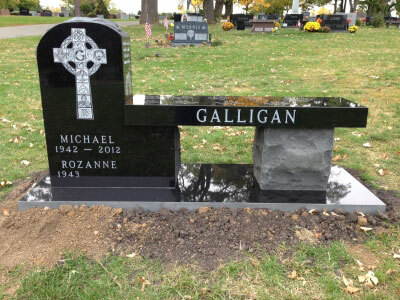 We have 275 designs that can be engraved on any in-stock stone and shipped to you in 7 business days. Online, art tracking capabilities let you know the exact status of your artwork. Approve or revise through your online account. Check our inventory, order online, check past invoices & bills of lading, etc. Utilize our giant warehouse, stocked with 15,000 monuments every day, for fast turnarounds! 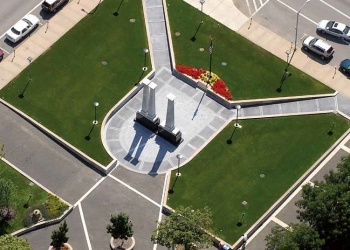 Full laser etching capabilities up to 6' x 10' surfaces as well as hand etching services. 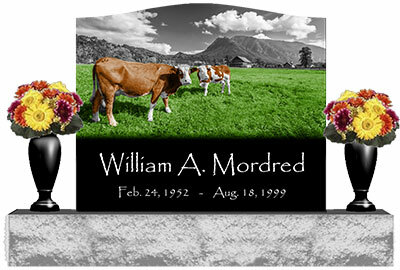 Design in real time and show families their memorials in color during selling process. 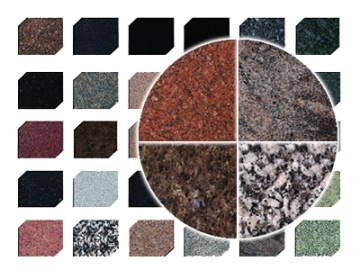 Tecstone offers affordable and convenient flat-rate pallet pricing. A single pallet, up to 2800lbs of granite - one low price.